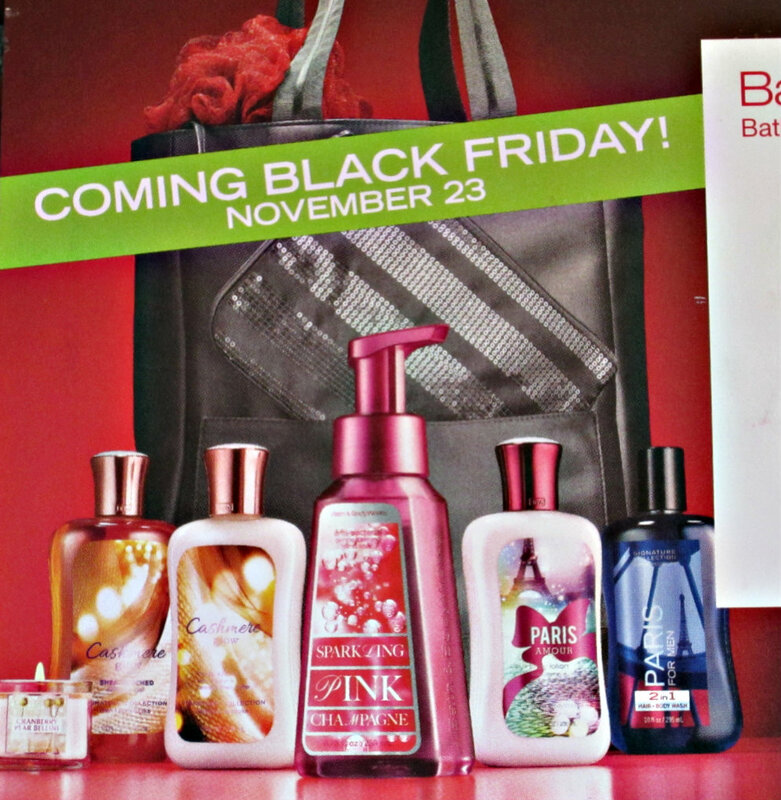 I received a mailer today from Bath & Body Works with a picture of their Black Friday V.I.P. Bag. This will be available on November 23, while supplies last. The cost is $20 with any $40 in-store purchase. • Cashmere Glow Body Lotion 8 oz. • Cashmere Glow Shower Gel 10 oz. • Paris Men’s Shower Gel 10 oz. • Paris Amour Body Lotion 8 oz. Wow!!! I got to have one of this. 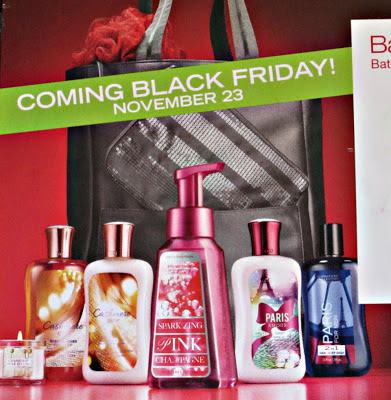 I super love bath and body works products.